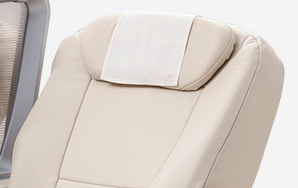 High-quality, genuine leather seats that provide the ultimate in softness and texture. 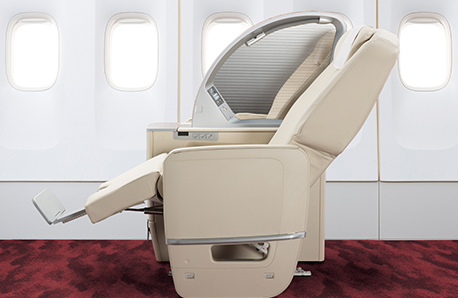 Experience a supreme bliss with a feature-rich private space on JAL's domestic First Class cabin. Relax yourself on the high-quality, genuine leather seats and enjoy the ultimate in hospitality exclusive to our first-class passengers. *Seating configurations are subject to operating aircrafts and routes. 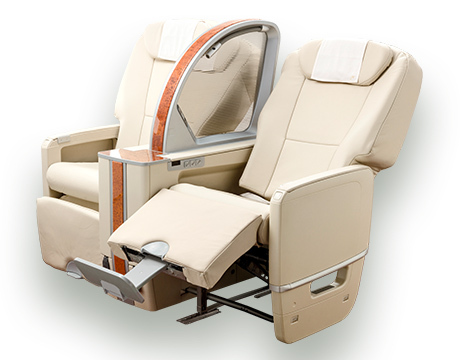 Seats have a deep angle of recline, comfortable leg rests and foot rests for your best relaxation. Seat pitch is wide about 130cm on Boeing 777-200 aircraft. These comfortable seats are like your sofa at home. 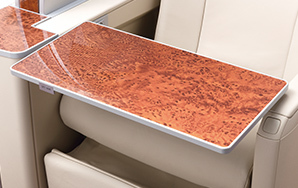 Passengers get their own private spaces with privacy partitions built into and above the large center console. Table size can be expanded to provide more than enough room for meal or work. A reading light lets you enjoy a book even at night. Can be freely moved to get light where you need it. A space for storing glasses, personal effects, and other small articles. 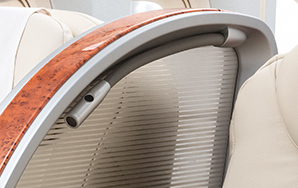 Head rest can be adjusted up or down. You can also bend the edges up for a better fit. 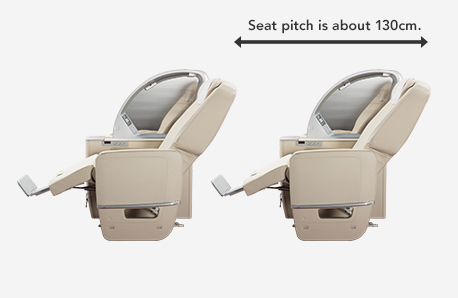 *On some aircraft, seat and armrest widths are about 52cm and 30cm, respectively. 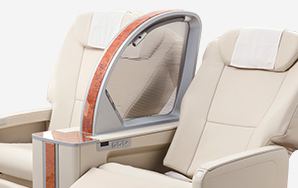 The layout of only 14 seats (7 pairs of 2 seats) for the First Class provides a private and elegant space. 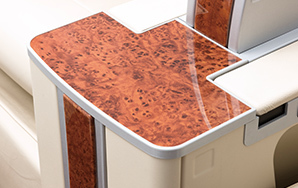 Only 5 first-class seats on Boeing 767-300ER aircraft, provide an even higher level of privacy.